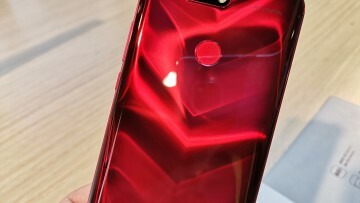 There are plenty of Android smartphones on the market to choose from, but only a select few receive prompt updates when it comes to its security or the OS. While a majority of manufacturers aren't up to date with the latest when it comes to their devices, some are at least trying to keep customers in the know by publishing a timeline of when an update can be expected. 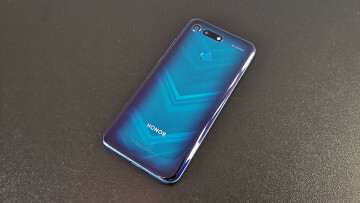 Honor has recently published a timeline for a few of its handsets, giving its customers an idea of when updates will be arriving. According to Honor France, the Honor 9 and Honor 8 Pro will start receiving the EMUI 8 update starting on February 7. 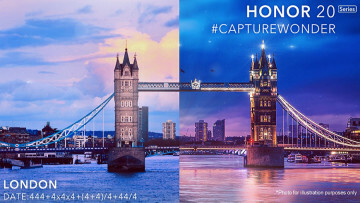 The Honor 7X and Honor 8 will receive the update sometime in Q2 2018. What needs to be understood is that just because the firm is updating these handsets to the next version of EMUI, it doesn't mean that they will also be updated to Android Oreo. In the past, the firm has updated its own software without updating the Android OS. This is an important distinction because there have been different reports from official sources when it comes to the Honor 8 being updated to Oreo. 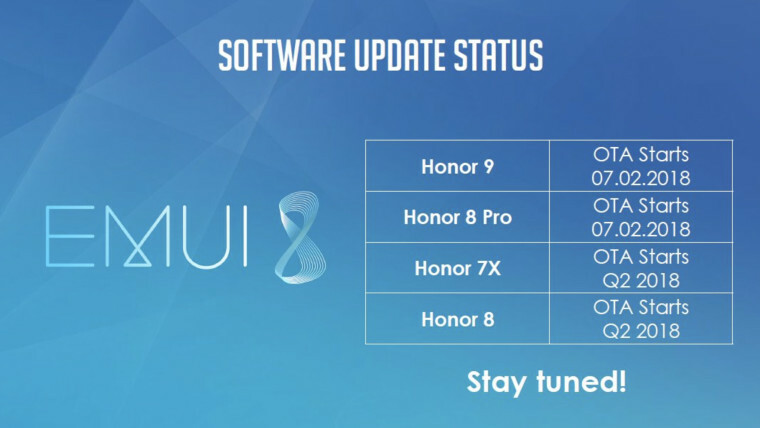 Those that have an Honor 9 and Honor 8 Pro can expect to see an update to EMUI 8 roll out over-the-air. If it doesn't come immediately, be patient, as these updates sometimes tend to roll out in waves. 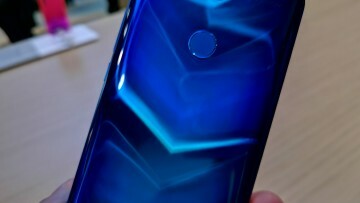 Honor View 20 review: Holey display Batman, it has a 48-megapixel camera! Feb 9, 2019 · Hot! Jan 19, 2019 · Hot!